Trail mix is a salty and sweet snack that is both satisfying and fun to eat. One of the best parts of making trail mix is that you can add your favorite ingredients, resulting in a one-of-a-kind recipe you can call your own. Whether you stick to an old favorite recipe or create your own, trail mix is always simple to make and requires very little time to throw together. Now that fall is in full effect, I wanted to create a trail mix you could enjoy during the colder months. 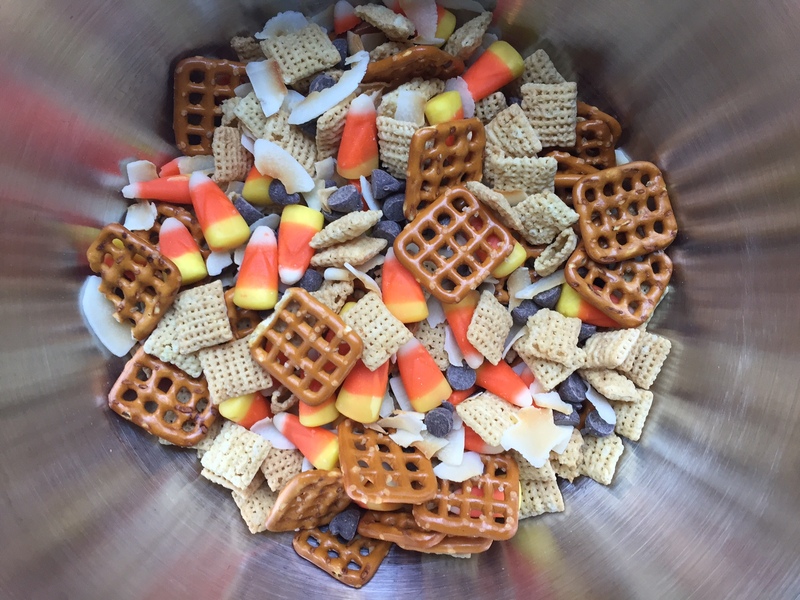 So I made this easy recipe for Fall Trail Mix! Sweet chocolate, salty pretzels and irresistible candy corn make this the perfect trail mix for the fall. Add some of your favorite nuts or other fall candies to make this recipe your own. To check out this sweet recipe for Fall Trail Mix, click here. And don’t forget to check out all the recipes on Coffee, Cabs and Bar Tabs, as well as on Instagram @coffeecabsandbartabs . Happy snacking!